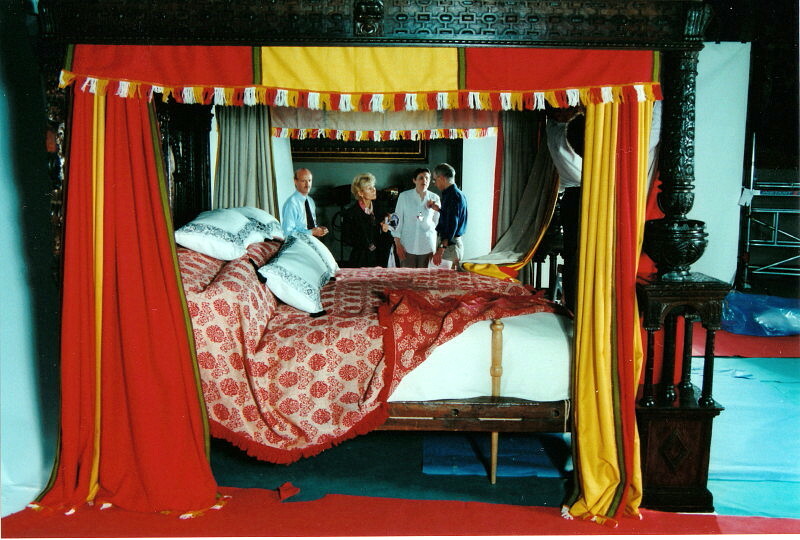 Following eighteen months of documentary research into Elizabethan beds, we commissioned and supplied a full set of hand-woven and vegetable-dyed bed hangings for this vast and famous bed, along with a full set of bedclothes, including bedcords, bedmat, three mattresses, sheets, bolster, bolster cover, pillows, embroidered blackwork pillow cases, blankets, 'changeable' shot-silk quilt and a coverlet of gold-threaded dornix. 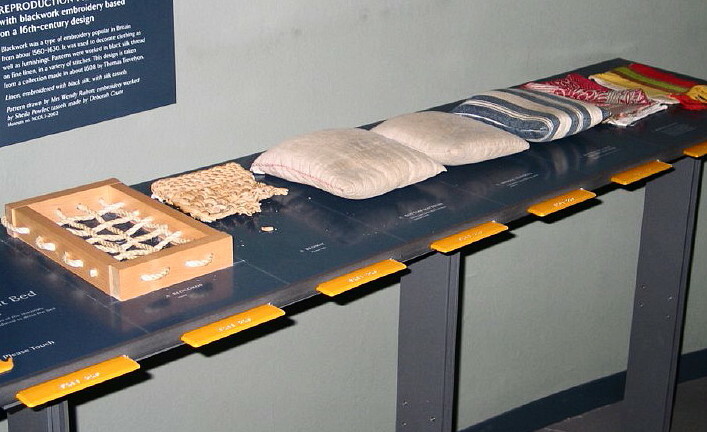 Many of these textiles were copied from originals in the museum. We likewise supplied timber bedstaves and cord-tighteners copied from surviving originals. We also supplied several sets of handling samples of each material. For the Victoria and Albert Museum, 1999-2001. 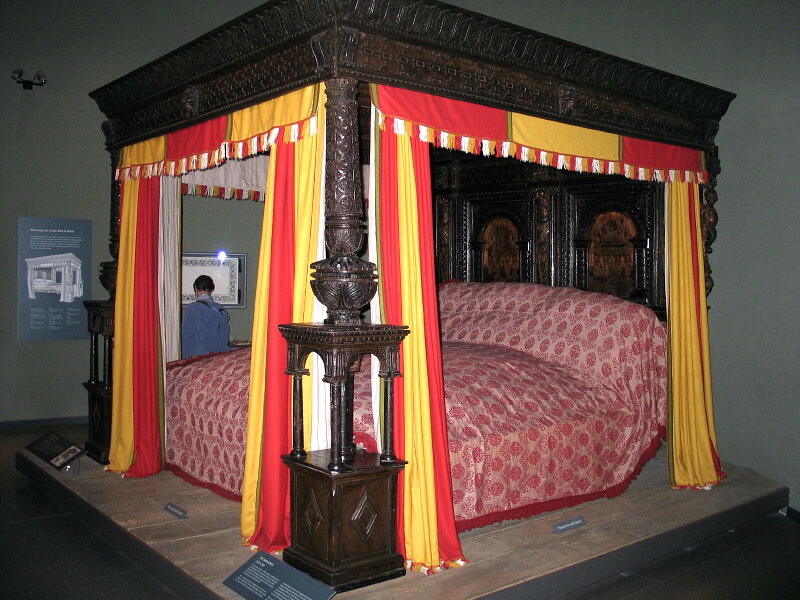 The Great Bed of Ware is on display in the British Galleries of the Victoria and Albert Museum, London.